In order to construct a theory of peace we must first deconstruct the theory of war. The popular view wages that there are individuals that cause events that lead to war: the assassination of the Arch Duke Ferdinand, Germany invading Poland, the bombing of Pearl Harbor, Iraq’s Invasion of Kuwait, a hijacked plane hitting the World Trade Center. A justified means of provocation is a pivot point where speculative interests push an event into military spectacle. Justified by fact that would lead any reasonable nation state to arms. But looking at the events and what comes after them one can surely see that there is a reaction to events by capital interest opportunity is perceived. When the event and its cascading effects are viewed rationally outside of the kaleidoscope of history one can see that these interests would capitalize on natural disaster and other so called acts of God instead of War. Protesting for peace after a war has broken out is already too late. If one of means should conspire to speculate on peace the same methodology would apply. The peace speculator would respond to the same event (having recognized it as an event) just with response rather than reaction. 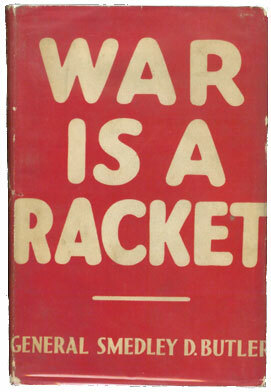 Reaction in this case implies war and response a more modern defense. Doomsday scenarios where two nuclear powers come to stalemate over the promise of mutual annihilation have led to a world where information bombs on a grass roots level are more powerful. People of the streets with smartphones have more ammunition than the arms buildup worldwide. The trade off in the loss of the right to privacy is that the powers that be, corrupt, and speculate also have no privacy if the oversight is fair. Much of King’s activism was economic. The boycotts of stores that enforced segregation and bus boycotts fueled the marches. In the context of reaction and response this is response. There are no tanks or warplanes only people taking away from the state that supports war, it’s most vital domestic power. Circulation. The ability to circulate goods and information is where nations draw their power. During the Arab Spring, by opening the lines of communication, powers were taken away from autocratic states. But this could not be accomplished with newspapers because traditional media sources are instruments of the state. The town crier, even in tone and volume, was replaced by the newspaper. During civil wars and revolutions new media platforms emerge but are quickly quelled by disinterest or lack of content. A theory of peace and justice must be cautious not to advocate assimilating the tools of the oppressors. It can be argued that Ghandi’s civil disobedience did not rescue India’s untouchables where a militant solution might have (at least redistributed the concentration of wealth). My retort would be that the untouchables in India would have only experience a betterment of conditions if half of them died. Prying away wealth from the middle class would require just that. So half of them would live better but the population would continue to increase leaving a whole new generation of poor to fill the bottom gap. As Gandhi and King have shown that to organize for peace means cutting off the economic necessities of war and the circulation of the state that supports it. Using all that technology that we have amassed should make peace-keeping easy. There is a deep communal assumption that war gratifies something deep in human nature. Children play at it. Adults spectate on T.V. The people who profit are not alone with the blame. The human need to dominate should be refocused. Dominating with peace can lead to a whole new dystopian futures but the unknown of utopian disillusionment is preferable to what is known, predictable and profitable.